Plans to redevelop London Euston as part of the high-speed railway line HS2 should be scrapped, an MP has said. HS2 Ltd, the company behind the rail link from London to northern England, last week said the redevelopment of the station would finish in 2033 - seven years later than planned. 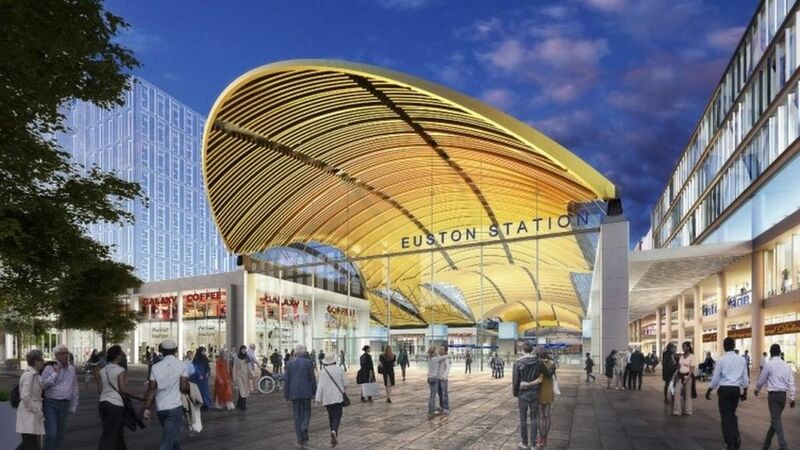 Plans to redevelop London Euston as part of the HS2 project should be scrapped as those living nearby face "decades of blight", an MP says. End of the line at Euston in July 2005 with a Pendolino at the buffer stops. Evening departures from Euston on 11 November 2011. The 350 on the left is the 17.46 to Birmingham New Street. Looking across the platforms at the north end of Euston station on Monday 3 March 1991.